This image is copyrighted and may not be reused for commercial purposes. 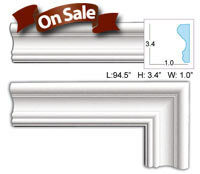 Customer Favorite for Door Trim! Imagine ascending a floating spiral staircase - a majestic Rococo dome looms above your head; you step onto the landing, and you are greeted by this visage. Breathe deeply and take it all in - intricate wrought iron railing, classic armillary globe, overstuffed camel-back love seat, glazed floor vases. Then you look up and see the beautiful architecture of the barrel-vaulted ceiling. This room has a lot of detail; but, if you break it down piece by piece, what you discover is an amazing loft/home theater comprised of readily available elements. The designer has combined classic light wood veneers, such as white oak and birch, with contemporary elements like a flat screen television and entertainment center to create this masterpiece. The barrel vault is the simplest form of vault to create as it is series of arches placed one after the other along the entire breadth of the vault. Barrel vaults can either be framed into your attic space or can be framed underneath your joists and trusses. 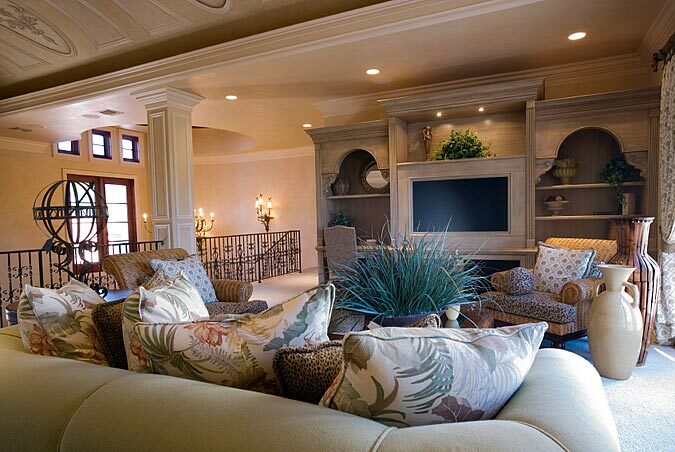 Barrel vaults are most often found in hallways, dining rooms, and media rooms such as this one. The recessed shadow boxes on the vault can be achieved with a small case molding such as ET-8714 Molding. The shadowbox concept is carried over to the square columnar pillars as well. Use a trim such as our FM-5505 Molding to frame the single-pane French doors leading to the veranda and the portal windows above the door. A corbel such as our Stainable Resin CB-300 Corbels is used to accent the proscenia above the writing desk and curio shelves flanking the entertainment center. 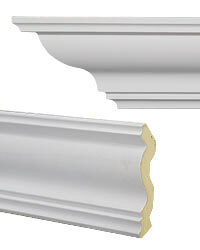 The constant thread woven throughout the room is a simple crown molding similar to our CM-1105 Crown Molding. 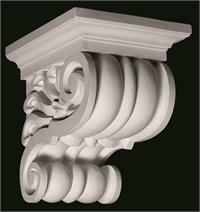 This molding is used to tie together every aspect of the room from the ceiling crown, to the capitals of the square columns, to the cabinet crown at the top of the entertainment center.